… Now Stop Imagining & Learn How to Make It All a Wonderful Reality By Getting My ““Making Money by Investing in Real Estate” eBook! 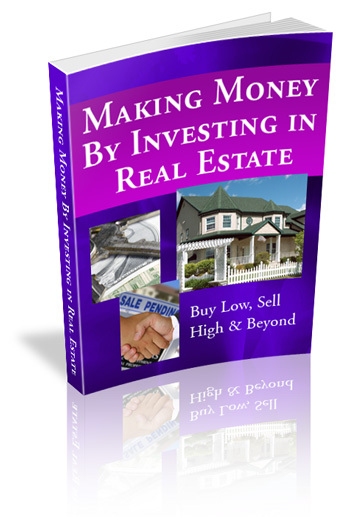 Right now, for a limited time, you can take advantage of a special promotional offer and receive the “Making Money Investing in Real Estate” ebook for just $?27– that’s $20 off the regular price of $47. P.S. -- This gem will be sold for $47. The introductory price of $27 is a "Buy it NOW before it's gone" offer... so act fast!